Why Do People Use Casinos? First Deposit Get up to £1500 bonus in your first week New players • £20 min deposit • 1st deposit immediate 100% up to £100 • 2nd - 5th deposits must be done and wagered 3 times within 7 days of the 1st deposit, to receive 30% up to £350 bonus per deposit • Bonus wins are capped at £500 T&Cs. Welcome Bonus 300% Welcome Bonus T&Cs. First Deposit 100% Bonus up to £200 on first deposit T&Cs. Welcome Bonus £10 no-deposit bonus	£990 wagering target. £5 max stake with bonus. £50 max withdrawal for non-depositors. 7 day expiry. Not all games contribute. 18+ T&Cs. Free £5 FREE - DOUBLE WINS! £990 wagering target. £5 max stake with bonus. £50 max withdrawal for non-depositors. 7 day expiry. Not all games contribute. 18+ T&Cs. Just the word casino summons up some pretty glamorous images. Perhaps James Bond playing the ultimate game of high-stakes Texas hold ‘em at the Casino Royale, or the neon-lit entertainment palaces of Las Vegas, the world’s ultimate casino city. The word is Italian, derived from the “casa” or house, and originally meaning a small country villa. By the 19th century, the word had come to mean anywhere where people gathered to have fun. Today, if you ask for the local casino in Italy, you might find yourself directed to a brothel! The name for a gaming house is casinò – one of the most important accents you’ll ever come across. To the English-speaking world, a casino will usually mean a venue for gaming, a pastime that’s been with us since ancient times. It might even be good for us. A Yale University study from 2004 found that older people who played in casinos were healthier than those who didn’t. There’s no set list of games that can be played at a casino. They are generally of three types: table games, gaming machines and random number games. Table games are what most people think of as the classic casino games: card games like poker, blackjack, baccarat (James Bond’s favoured game), dice games, chiefly craps, and random number games, of which the most famous is roulette. Gaming machines, or slot machines, come in a huge variety and can pay out some jaw-dropping winning prizes. Random number games include bingo and keno. Online casinos offer electronic versions of all of these games. 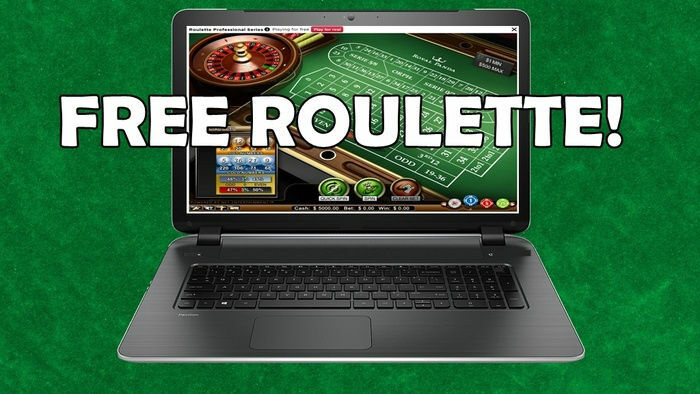 They can also host live games, particularly roulette, that are streamed online for players to bet on. And the online gaming market is now going social, with new casino games on networks like Facebook. Casinos are big business. The City of Dreams Casino in Macau is the 10th most expensive building ever built, costing $2.4 billion. The global online gaming market was predicted to reach a value of $41.4 billion in 2015. 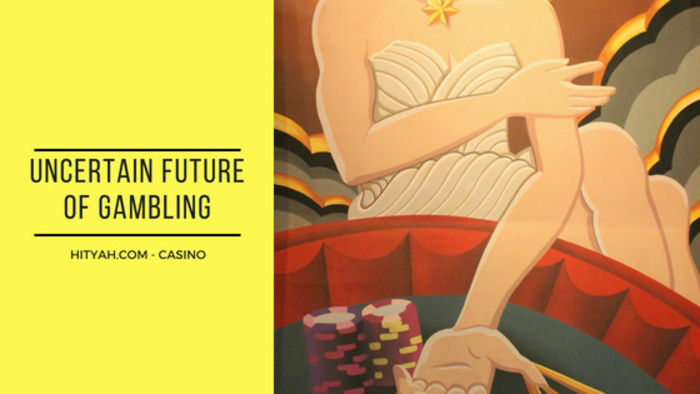 Predicted casino revenues for 2015 were $182.7 billion. It’s not all flowing to the casino bosses and gaming site owners. In October 2015, a British soldier broke the record for an online slot machine win with a £13.2m for a 25p stake. It’s life-changing wins like that which mean we’ll probably never get tired of gaming in all its forms. It’s almost impossible to get reliable figures on who exactly uses casinos. Studies tend to focus on gaming in more general terms. In the UK in 2014, 55% of people aged over 18 (the legal age for playing online) were involved with online gaming. 60% per cent of men, 55% of women. In 2006, a global survey found that between 14 million and 23 million people played online. Of these, 35% were American, 49% from Asia-Pacific region, and 23% were Europeans. A breakdown of a smaller survey the same year found that 68% of American online players were male, 61% were educated to college level or above, and 41% earned more than $75,000-a-year. Tusk Rio Casino Resort at Klerksdorp, South Africa at 266,330 square feet. Betting is entertainment. The risk is exciting, and like a bungy jump or a computer game that simulates a perilous situation, staking some cash will release adrenaline. It’s also great fun to pit your wits in a game of skill. Not all casino games are based on pure chance – most card games require a great deal of mental acuity to succeed. Even those games that are mainly based on chance can be played in a skilful way and attract players who develop systems of wagering that they believe will bring the greatest reward. The reward shouldn’t be discounted either. It’s possible to win great amounts of money in casino games both off and online. We’ve already mentioned the British player who won £13.2m for a 25p stake on an online slot machine. A Las Vegas casino customer netted $39.7 million from a $100 bet on a slot in March 2003. The research that suggests older players are healthier than non-players shows there could even be health benefits to games of chance. Certainly, observation, mental arithmetic and speed of thought are useful skills for casino lovers. Many bricks-and-mortar casinos are palaces to entertainment in all its forms. The Las Vegas Strip used the big money made from players to lure the biggest names in show business – most famously Elvis Presley. The massive modern casinos are the same; the Venice in Macau, the world’s largest, boasts nearly 30 restaurants and bars, 3,000 hotel rooms, four swimming pools, three shopping malls and a concert hall. Casino games come in many varieties with many regional variations. Every modern casino will boast many gaming machines. These will include classic slot machines as well as games simulating the popular table games. There may also be random number games like bingo and keno. 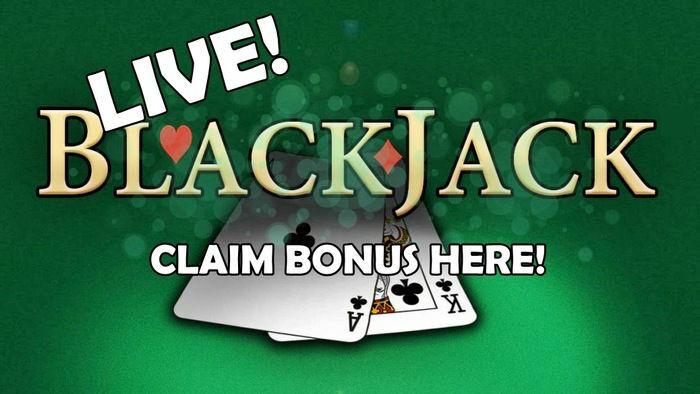 Blackjack is the most popular casino banking game in the world. Players try to get a higher hand of cards than the dealer, without exceeding 21. Poker comes in a dazzling array of variations. Players compete against each other to win a pot of gambled cash by combining randomly dealt cards in a variety of ways. No game has the mystique or following of poker. Baccarat is a French game in which players compare hands with a dealer. Roulette is a game that players guess where a ball will land in a slotted, numbered wheel, betting on the outcome of spins in a number of ways. Craps is a very old dice game. Players gamble on the roll of a pair of dice, betting on a number of possible outcomes against the casino. Sic bo is a game of Chinese origin based entirely on the random outcome of a dice shake. Informal gaming houses have been with us since the time of the great ancient civilisations. The first establishment that we would recognise as a casino was the Ridotto in Venice. It was opened by the city authorities in 1638 to provide regulated gaming during the carnival. In 1770, the same authorities closed it down because local aristocrats were losing too much cash. Americans played in saloons until the early 20th century when states started to ban or strictly control all forms of gaming. When the Great Depression threatened economic catastrophe for their State, the authorities in Nevada legalised casinos. Two cities, Reno, but above all Las Vegas cashed in, becoming first national and then international casino centres. Big casinos have since straddled the globe, often basing themselves in resort centres or enclaves of legalised gaming like Macau, the Portuguese holding in China, or Sun City, which was founded in Bophuthatswana, nominally an independent country, though dominated by South Africa where casino was illegal. All branches of the entertainment industry have migrated to the internet and today you won't have to search long to find a casino online. In 1994, Antigua and Barbuda in the West Indies passed laws allowing the licensing of online casinos. Later the same year Microgaming brought out the first gaming software. With encrypted communication allowing money to be transferred more securely in 1995, all the chips were in place. Online casinos grew steadily with the first progressive jackpot slot launched in 1998 along with the first online poker site, Planetpoker. There were more than 700 real-money sites in operation by 1998. The industry boomed after the turn of the millennium. In 2000 $2.2 billion was being earned from online casinos. More and more countries legalised and set up licensing for online gaming. In 2003, Cassava Enterprises launched 888.com. The name is important – eight is the luckiest number in Chinese culture, and the big new markets were going to be in the Far East. By 2008, the worldwide market was said to be worth $21 billion. In 2010 there were nearly 900 online casinos, though American regulators hit back at some massive sites that were allowing US citizens to play casino games online that the law said they shouldn’t. Today we’re all going mobile - with $10 billion wagered on mobile devices in 2013 - and social – with the social casino market worth $1.6 billion. Eighty-five countries have legalised online gaming and last year the industry was worth the same as the GDP of Slovenia. The UK has followed the pattern of the world. In 2015, there were 208 gambling software companies in the UK and 176 licensed casinos. While, for many years, gaming operators used overseas licensing authorities, it is now illegal to offer casino games to UK consumers without a UK licence. The amount wagered on UK-licensed casinos was £674.51 million in the last available figures covering the year to September 2014. The gross gaming yield for the casinos from this was £24.09 million. Slots are the biggest earners for casino operators, followed by table games, then card games, then other games. It’s impossible to count player numbers, but accounts can be recorded. At September 2014, there were 18.14 million accounts at UK-registered gambling sites (holding about £205 million in cash), but only 5.59 million of these were active (had been used in the last 12 months). However, 6.24 million new accounts registered was the largest figure in the history of the industry in the UK. Mobile casinos are growing rapidly. Every site worth its salt will offer a mobile platform to players. And some casino games are made for the smaller screen. Again, many of the figures are not specific to casinos. But in 2013, William Hill said it was getting 17% of its online gaming revenue from mobile users. Social casino games are even more heavily skewed towards mobile users, with 51% of revenues coming from that group at the end of 2014. PokerStars was getting more than half of its new members from mobile platforms at around the same time. Casino sites are easy to use for players. However, the laws on gaming mean there are restrictions on players and strict rules about how sites can be used – this helps keep players and operators safe. To get started just head to any casino site and click to register for an account. You’ll be asked for your personal details, including a date of birth to establish your age, your location to establish that you can use the site legally, and some security information. You may be asked to fund your account straight away, but not at all sites. You will need money in your account to play. Then it’s simply a case of picking your game and clicking to get the software platform started. Like real-world casinos, most online operators divide their games between slots, table games, card games and video games. Because many casino sites operate other gaming sites, you may be offered the chance to bet on sports or play bingo. If you want to find customers, you’re going to have to tell them you’re there. And unless your site is ranked highly on Google you may struggle. That means lots of online casino sites advertise on TV. How they do so is regulated by the Advertising Standards Authority and the Gambling Commission. Only sites that are licensed in the UK can advertise to UK consumers. There were 1.39m gambling ads shown on TV in the UK in 2012, up from just 234,000 in 2007, the year that the gaming sector was deregulated. That’s a 600% increase. Of these ads, 411.000 were for online casinos or poker sites. A report on the industry’s TV advertising was due in 2015 but was late delivering its findings. The adverts tend to be big and brash and either high tech or retro – they look like they’re aimed at men, dealers are always beautiful women – with a big focus on the latest offers and welcome bonuses for players. One way online casino operators have got massive TV coverage is by sponsoring football teams. With the audience just the one they’re after, and English football being one of the most popular brands in the world, it’s a natural fit. In 2015, there were eight gambling companies with their names across the shirts of UK top-flight clubs. 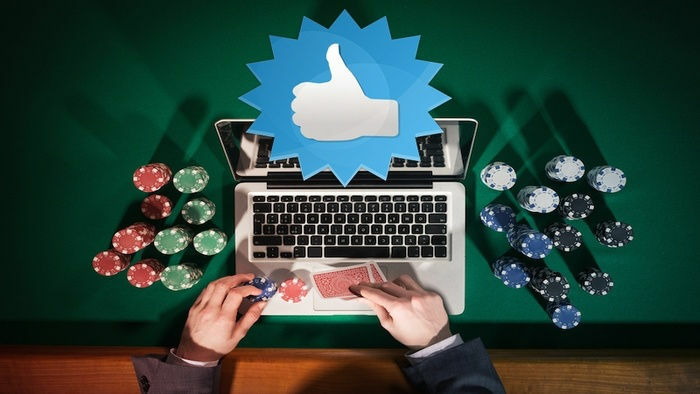 Any online business that doesn’t go social could have a short future, and casinos are no exception. Social casino games have been a massive growth sector on social networks. In 2013, the genre was earning $2.9 billion, a figure that was projected to rise to $4.4 billion in the next few years. It’s an exciting new frontier for players and the industry alike. Analysts say that the market is currently dominated by social versions of already-popular online slots, often played by older women. But the future will be about games that demand more skill, taking live dealers into social networks and even early adoption by casino companies of virtual reality technology to bring Las Vegas onto the small screen. The law on gaming in the UK saw a major change in 2005 with a new Gambling Act that cut out much of the red tape around the sector. Included in the act was a plan to license “super casinos” of the sort seen in places like Vegas. This proved controversial, and no super casino has gone ahead yet. Most of the nearly 150 casinos in the UK are relatively small operations although two larger casinos have opened, one in Newham, East London and one in Milton Keynes. The Gambling Commission regulates the whole sector on and offline, ensuring that games are fair and age limits are respected. Online casinos must now be licensed in the UK if they offer services in the country or any part of its gaming equipment is based in the United Kingdom.